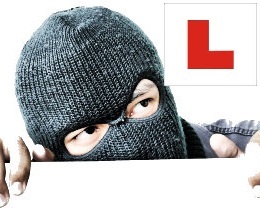 Pupils can really give a Driving Instructor food for thought. On my last blog post I told the world about how I had been mis-sold a PCP by my local dealership. I was chatting to a pupil about how I think companies in general have become more sinister and underhand in the way they deal with the public. My pupil who has worked in the financial sector for various companies has told me this is undoubtedly the case. He reckons it's a trickle down from the banking crisis where no one was ever prosecuted for wrongdoing and just seemed to get away with it. I complained to Skoda UK about the mis-selling and found they were practically powerless to do anything at all. The people on the phone seemed to sympathise with me but told me there is only so much they are allowed to do and pointed me in the direction of the financial ombudsman. I have put in my complaint with them. Today they informed me that they cannot raise a complaint against the dealership but can against the finance company. They've collected all the info and now it's time for me to sit back and see what they come up with. Last week a really nice bloke ran into the back of my car at a roundabout during a lesson. Less than six thousand miles on the clock and it's already going in for repair. Ha. The guy admitted liability so everything should be straight forward. I informed my insurance company of the accident and they set the wheels in motion to get my car repaired. Later the other guy's insurance company called and offered to sort everything out. I informed them the process had already started and then they started to tell me that if my insurance company asked too much for the hire vehicle etc. then they would contest it and I may have to pay the charges out of my own pocket. I informed my insurance company what had happened and they said that the other company were using scare tactics to get me to go with them so they could keep their costs down. I would receive the cheapest repairs and hire car possible if I let them handle the claim according to my company. The other guys told me that my insurer was simply looking to make as much money as possible. I felt a bit like piggy in the middle. I've never come across this before on previous non fault claims. I was told that they shouldn't have approached me at all. A few days after the calls I received letters from the other company telling me of the risk I have of being liable for vehicle hire charges if they contest them. This was totally brand new to me. During previous non fault claims I have simply informed my company and let them handle it. The other company farce I'm dealing with is the tree in my garden. I called the letting agent about 6 weeks ago to tell them it's overgrown and touching various wires. The telephone lines and power lines I think. First they ignored it, then they lost the notes on the request. 3 times I emailed photos of the tree. A guy came round from the contractors and had a look and took more photos. Nothing happened. I chased it a bit. Another guy came round from another contractor and took some more photos. As I write this the tree has still not been cut back. Ha! I'd do it myself if it wasn't so high up. Anyway, there's me getting it off my chest about modern companies. I'm not going to mention the stuff I've heard from new pupils about Drive Dynamics cos this would go on too long. Have a nice day. Thanks for sharing this post. You have to pick the right driving school so you learn better from them, any way a good blog to read atleast.